Did you know you can freeze whipped cream? (You can!) Of course you can’t thaw it, but frozen whipped cream makes a fabulous drink topper! I’ve been baking quite a bit lately and have been using heavy whipping cream for my toppings and frostings. I never know how much I need and always end up making too much. If you’re the same way, there’s no need to waste the extra whipped cream, just freeze it for later use. I love real whipped cream in my coffee and the kids love it in their hot chocolate. If you want to make shapes, spread the whipped cream about 1/2 inch thick onto wax paper and freeze for several hours. 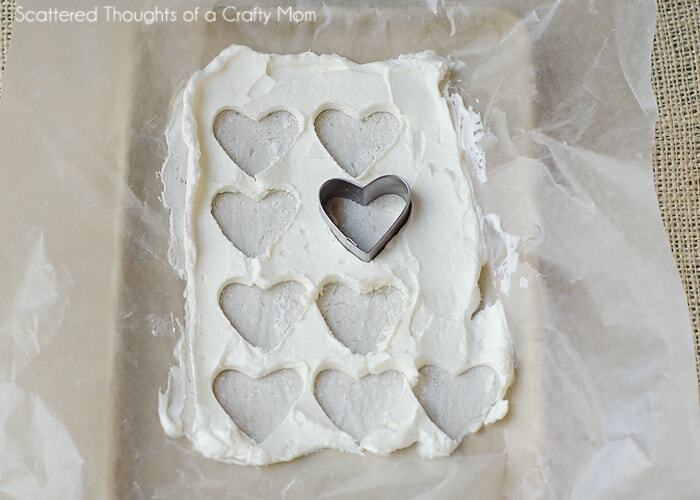 Once frozen you can use a cookie or fondant cutter to cut out your shape. 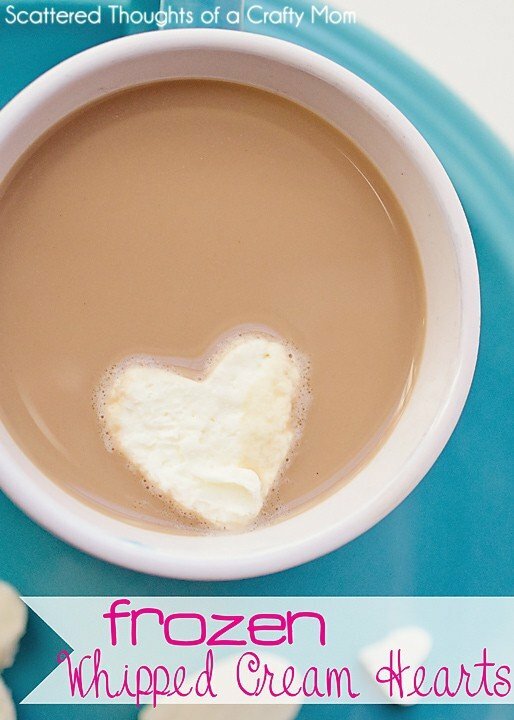 Wouldn’t your little one love a hot chocolate with a whipped cream heart waiting for them after school today? What kind of whip cream do you use to freeze? The kind in a milk carton? Whata really cute idea! I bet this would just make my daughters day to see this in her hot cocoa! Love this idea! I'm going to pin it for next Valentine's Day. 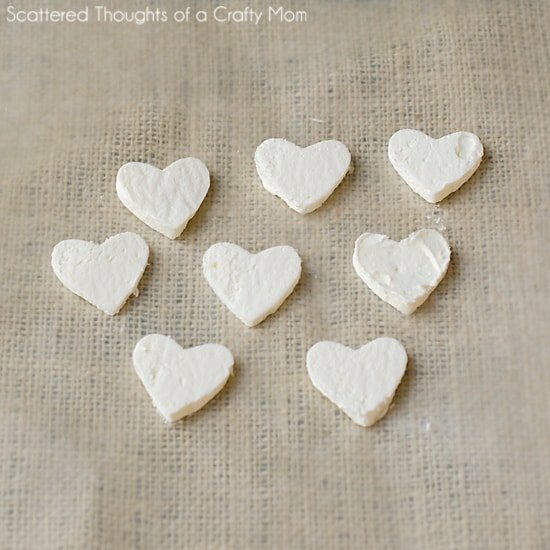 Very cute and easy to make. Really like and have pinned to my Valentine's Board. I love this idea! I love putting fresh whipped cream in my hot chocolate for the extra creaminess and I love that this will also help cool it down faster. Awesome, I had no idea. I will be trying this, the real stuff is so good in coffee. This is such an awesome idea!! So cute! I rarely use all of the whipped cream I make (and if I do, I regret it because it's by the spoonful!) and this is such a smart way to use it up! Love this! So much better than marshmallows.